Come along on an underground tour of the future light-rail tunnel. A 4.3-mile corridor and U District, Roosevelt and Northgate stations are scheduled to open in 2021. 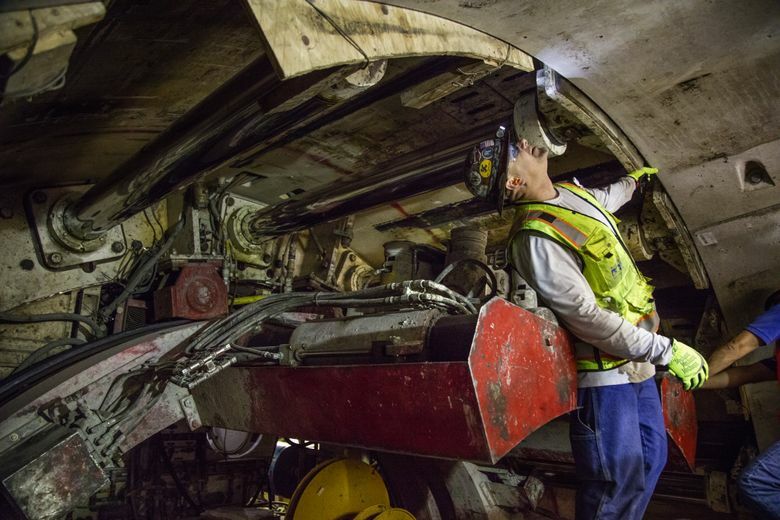 Sound Transit’s contractors are only 650 feet from the finish line of a seven-mile marathon dig to extend its light-rail tunnel from the University of Washington to Northgate. 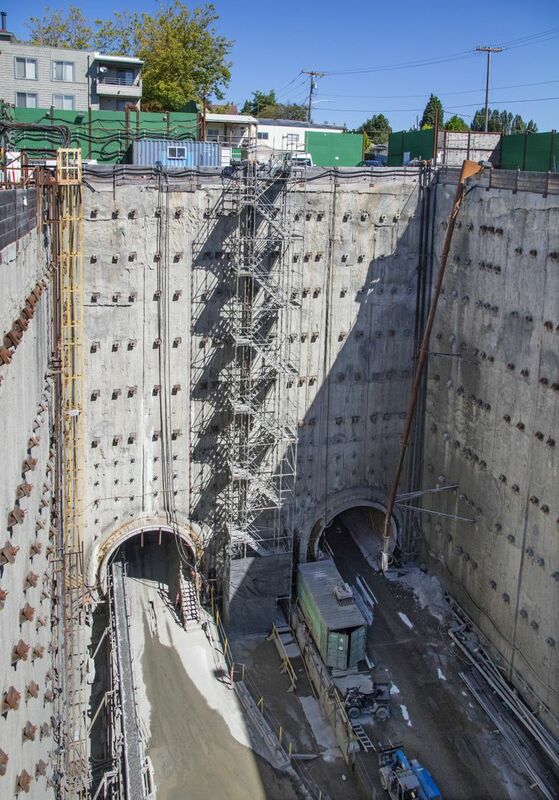 A tunnel-boring machine is crawling south under the Burke-Gilman Trail and should emerge next to Husky Stadium in about 10 days, project director Brad Cowles said Wednesday, shouting over the roar of conveyor belts moving out dirt at the site. Digging began in mid-2014. 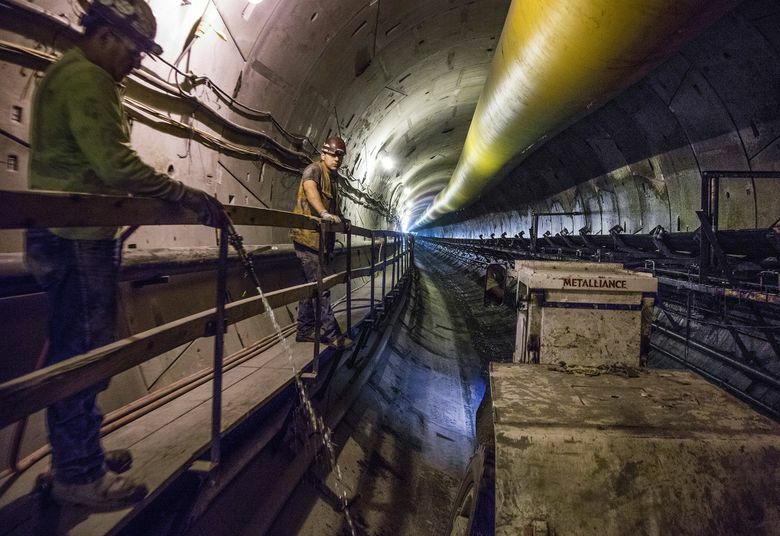 The 4.3-mile corridor, which includes a short elevated section, twin tunnels and three stations — U District, Roosevelt and Northgate — is scheduled to open in September 2021. Sound Transit’s tunnel machine will break through at Husky Stadium from the north in about 10 days, completing the final tube from Northgate. But it will take five more years to open light-rail service to Northgate, Roosevelt and U District stations. That timeline comes close to the 2020 opening date shown to voters in the 2008 Sound Transit 2 ballot measure, although back in 1996, politicians on the transit board told voters in the Sound Move campaign that Northgate service might be possible as early as 2006. A Sound Transit 3 expansion measure will be on this fall’s ballot, asking voters for new property, sales and car-tax increases to eventually stretch the north line as far as downtown Everett, and build six other regional light-rail extensions. Workers in the university area already have begun the next phase, to dig cross-passages between the northbound and southbound train tubes. These provide emergency escape routes every 800 feet, and places to install electrical controls. The passages require breaking some of the newly set rings of the concrete tunnel. At many passages, the dirt is being frozen to prevent groundwater from pouring in, about 80 feet below the surface. Cross-passage construction, a concrete deck, rails, signals, lights, stations and train testing will require five years to complete. This summer’s breakthrough next to the stadium means the financially riskiest phase of the $1.9 billion corridor is over. Still, Sound Transit is unlikely to end the project with the same sort of surplus that occurred at the nearby Capitol Hill Tunnel, which came in $200 million under budget. Groundwater at five cross-passage sites in the Northgate extension was worse than predicted in soil studies, so the transit-agency board had little choice but to spend $44 million in contingency funds, boosting the tunneling contract to $506 million. Tunneling is done by a joint venture of Jay Dee, Frank Coluccio and Michels construction companies, staffed mainly by local operating engineers, laborers and electricians, said Cowles. 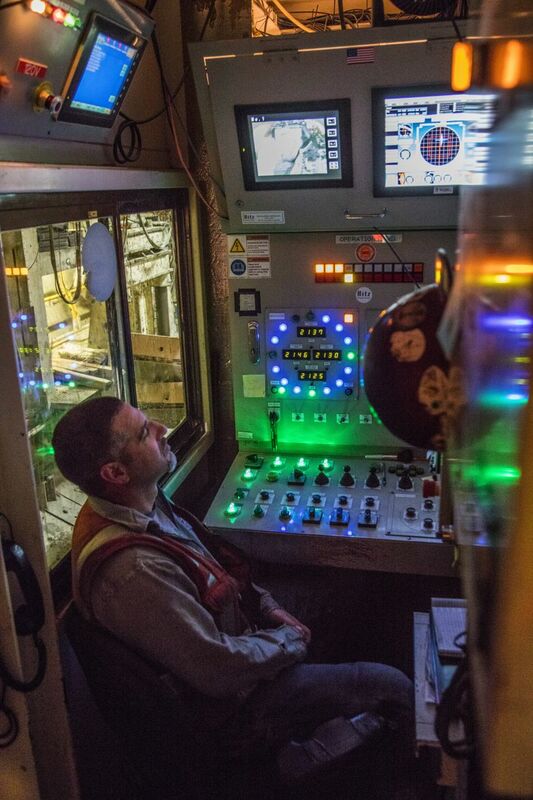 Some have worked on the Capitol Hill line, while others switched to Sound Transit from the bigger Highway 99 tunnel while drilling-machine Bertha was idle for repairs in 2014-15. • As seen from inside the U District Station, some 22 temporary steel struts are bracing the upper walls of the underground station, so the upper portions won’t collapse inward. Foundations at the adjacent, 22-story UW Tower make it impossible to brace the entire wall by drilling anchors outward into the dirt. The station’s mezzanine and surface-level roof will ultimately brace the walls. • Parts of the trackway will include a polymer cushion between the rail deck and the tunnel tube, to prevent vibrations that UW officials have long cited as a threat to research laboratories. • At the Northgate Station, a truss walk-bike bridge across Interstate 5 is due by possibly 2020, at a cost of $26 million to $33 million.